Our Gary Tracker aims to help you meet our local inventor on Club Penguin Rewritten so that you can receive a hard-difficulty and obtain his exclusive background! Gary’s Background which could be obtained at several events. 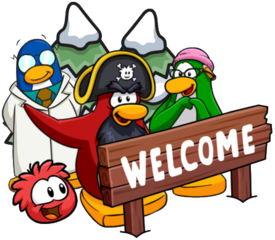 These are the: Open Beta Party, 2000 Players Celebration, Mountain Expedition 2017, 10000 Players Celebration, St. Patrick’s Dat Party 2017, Earth Day Party 2017, Medieval Party 2017, the Halloween Party 2017, the 1st Anniversary Party, the Waddle on Party 2018 and the construction of Rockhopper’s Quest. Gary’s other background could only be obtained at one party so far: the Medieval Party of 2018. Neither of Gary’s backgrounds are custom (exclusive to Club Penguin Rewritten), as this one is from Club Penguin’s 2012 Medieval Party, but it is still very cool. Gary’s fourth background was available during the Halloween Party 2018. It features Gariwald, which is his uncle that was involved in the plot of the Halloween Party, and also the Haunted Mansion. It’s the same background from Club Penguin 2012’s Halloween Party! Here’s how the background looks like on your playercard! 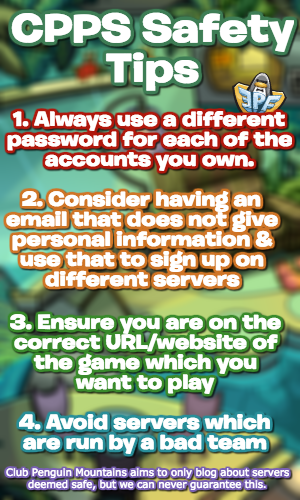 Good luck meeting Gary, and remember to check this tracker to increase your chances of doing so!